Lima is a fascinating urban centre in Latin America that offers an eclectic blend of rich cultural legacy and sophistication. This enticing capital of Peru is world-renowned for its high-rise business towers, centuries-old archaeological ruins and churches, mansions, and monasteries built with colonial architecture. The most prominent must-visit landmark of Lima is the 22-meter high pyramid Huaca Pucllana, constructed with adobe and clay bricks. You can also visit the Church and Monastery of Santo Domingo, one of Lima’s oldest buildings, and explore statues of Saint Rose and mosaics depicting the life of Saint Dominic. 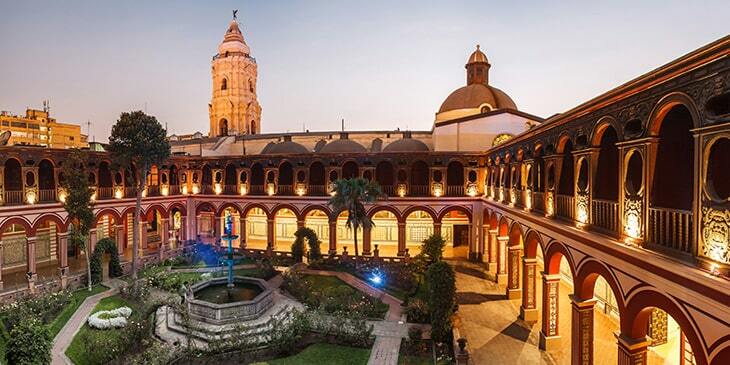 Step inside the majestic Government Palace, the official residence of Peru's President to witness the change of guard ceremony and then head to the Basilica Cathedral to admire its ancient pictures, murals, frescos, ornate carvings and Spanish Baroque styles. Brightsun Travel offers various cheap air tickets to Lima from India to suit a variety of tastes and budgets, so you can look forward to planning a memorable trip to this exciting Latin American city. With several world-class museums, Lima has emerged as Peru’s prominent centre for art and culture. Visit the iconic Larco Museum to explore an excellent collection of 40,000 artifacts from the pre-Columbian era, including masks, vases, and jewellery items, as well as crowns of ancient kings. Step inside The Lima Art Museum and admire paintings, ceramics, and pictures from the colonial period; here you can explore various paintings created by renowned Peruvian painter Pancho Fierro. Spend time at the Gold Museum of Peru and discover lots of ceremonial knives, scepters and masks, as well as more than 8,000 gold and silver artifacts related to the Inca civilization. Then there’s the National Archaeology, Anthropology and History Museum which is home to a rare collection of ceramics, stone carvings, tapestries, and mummies that date back to 2800 BC. Don’t forget to visit the Arms Museum, which houses plenty of weapons including Italian pistols, cannons and crossbows. Brightsun Travel offers cheap flights to Lima, allowing you to travel here at great value and explore the city’s captivating museums.